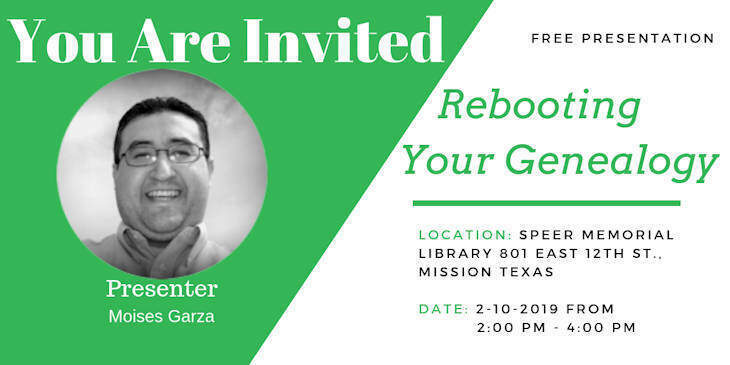 If you live in the Rio Grande Valley area make sure to attend my presentation "Rebooting Your Genealogy". In it, I will talk about restarting your research the right way, about software to help you manage it, and also of websites, you should be using to find your ancestors. 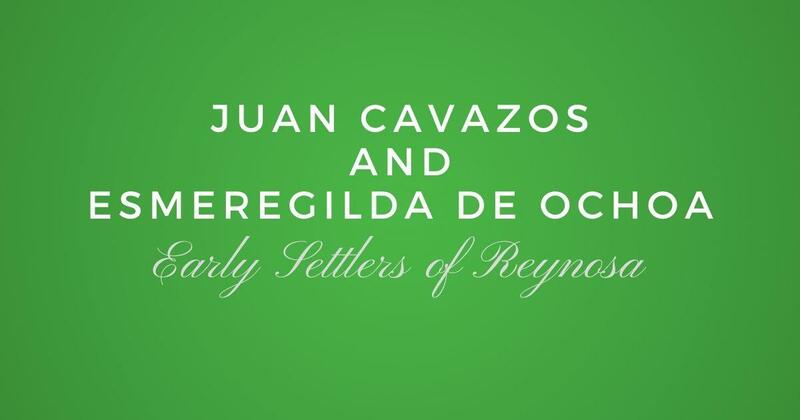 This presentation is hosted by Las Villas del Norte Genealogy Group. It will be Sunday February 10, 2019 from 2:00 PM to 3:00 PM at the Speer Memorial Library located at 801 E. 12th St. in Mission Texas. See you there! Don't worry, join Las Villas del Norte today and you can watch this presentation online two days after it is recorded. 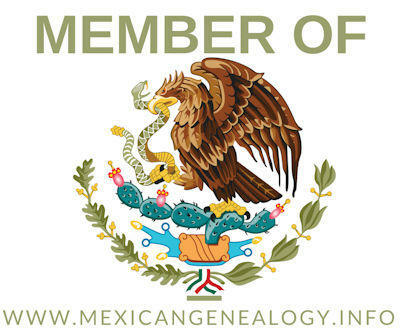 You will also get our printed book "Las Villas del Norte, The 1757 Censuses of Laredo, Dolores, Revilla, Mier, Camargo, and Reynosa", the e-version of our 2019 Journal, plus a ton of other great resources to help you in your genealogy.